Police Brutality Is in the Headlines, So Where Is Our Jim Gordon of 'Gotham'? If you didn’t watch the first season of FOX’s Gotham, you’ve missed out on some fascinating commentary on the real-world problems of police brutality and corruption. If you didn’t watch the first season of FOX's Gotham, you've missed out on some fascinating commentary on the real-world problems of police brutality and corruption. On 27 April 2015, shortly after the funeral of Freddie Gray – who died in police custody from fatal injuries, including a mostly severed spine – protestors and rioters took to the streets of Baltimore. An hour after Baltimore Mayor Stephanie Rawlings-Blake declared a state of emergency and called in National Guard troops, Gotham aired the penultimate episode of its first season ("The Anvil or the Hammer"), at the end of which Captain Sarah Essen (Zabryna Guevara) of the Gotham City Police Department (GCPD) paralleled Mayor Blake’s call for additional troops in the face of mounting violence. In both Baltimore and Gotham, violence erupted as a result of pressure that had built up over years of ignoring systemic corruption. For those not familiar with Gotham, it’s DC Comics’ major-network response to the recent Marvel Cinematic Universe expansions into broadcast television (Agents of S.H.I.E.L.D. and Agent Carter.). DC’s other current shows, including Arrow and The Flash on The CW, have significantly smaller audiences, and Constantine on NBC was cancelled. Rather than continuing stories told in films, as Agents of S.H.I.E.L.D. does, Gotham presents a complex and integrated origin story for many of the characters from Batman’s hometown, including Bruce Wayne (David Muzouz), Selina Kyle/Catwoman (Camren Bicondova), Edward Nygma/the Riddler (Cory Michael Smith), and Oswald Cobblepot/Penguin (Robin Lord Taylor). In tone, it tracks the same dark footsteps of speculative, mythology-heavy procedurals like Chris Carter’s The X-Files, Joss Whedon's Angel, and J. J. Abrams’ Fringe. 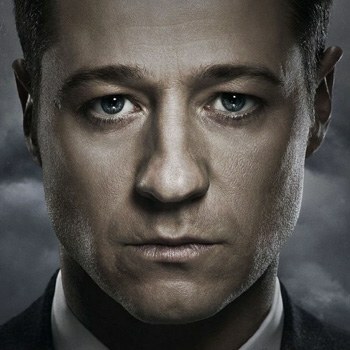 In particular, Gotham follows the progress of 30-something Detective James Gordon (Ben McKenzie) at the beginning of his career in the GCPD, long before his rise to the rank of commissioner. Gordon’s character is complex and well-written, motivated by honesty and justice… most of the time. A big part of Gordon’s story is his struggle against ubiquitous corruption, both within and outside the department. Early in the season, Gordon is ordered to kill Cobblepot, an assistant to gang lieutenant Fish Mooney (Jada Pinckett Smith), who has annoyed his superiors. Instead of killing Cobblepot, Gordon helps him fake his death, only to be blackmailed by both his partner and the GCPD higher-ups. When Cobblepot reappears in Gotham City with vengeance on his mind, Gordon is exonerated for the alleged murder, but he gets entangled in Cobblepot’s long game of becoming the top gangster in a city filled with ambitious racketeers. The shame and anger of his experience with GCPD’s depravity emboldens Gordon to declare loudly and publicly his intention of rooting out departmental corruption – a promise he spends the rest of the season trying to keep. Given the recent barrage of real-world police atrocities and attempted cover-ups (not to mention as-of-yet successful cover-ups), there’s no better time for a show like Gotham to provide vicarious insight into corruption and collusion run amok. In her award-winning article on dystopian literature, Dr. Amy H. Sturgis argued that modern dystopian stories “offer(s) worlds gone wrong to suggest that modernity itself was a wrong turn, that the best that young people can hope for is to survive the broken planet they’ve inherited.” If Gotham is a world gone wrong, its parallel to US policing practices, including ever-greater militarization of municipal authorities and the persistent penchant for police to publicly deny any and all wrongdoing, leaves us with little hope except to live within a broken system. Still, even with these parallels between Gotham and current events, perhaps the most notable aspect of the show is the one it does not share with our own world. Flawed though he may be, Jim Gordon represents the honorable, protecting aegis that cops throughout the US (and their supporters) envision themselves to be. Police incessantly call for greater powers, even as they fail to adhere to the limits of their current authority. No Jim Gordon has stepped forward to call out, and clean up, the police forces of Ferguson, New York City, Baltimore, and other cities where police violence and corruption have become endemic. In nearly every recent case, atrocities committed in the name of law and order have been revealed by external evidence, such as uploaded cellphone videos, leaked official records like surveillance footage, and autopsy reports. Even in cases like Freddie Gray’s, there wasn’t (and still isn’t) any forthcoming admission of wrongfulness by the Baltimore Police Department (BPD); had Gray not been taken to University of Maryland's Shock Trauma Center, it’s unclear how long his injuries would have gone unknown to the public. Backed into a corner, BPD was forced to offer some version of events, but the version they came up with was little more than convoluted logic and mealy-mouthed accusations meant to obfuscate and deny the department’s and arresting officers’ involvement. Of course, it’s easy to understand why most cops don’t speak up. Plenty of former cops – mostly the kind who write books and make TV shows – have spoken against police brutality. But they’re no longer part of a system that incentivizes secrecy. Those who have tried to expose internal wrongdoing, like former BPD Detective Joseph Crystal, are threatened into silence. Meanwhile perpetrating officers receive token disciplinary actions, if they are punished at all. A big part of the problem is the incentive that current police department structures offer for cops to stay silent. In Gotham, the GCPD commissioner actively directs many of the atrocities being committed by those under him, in part to achieve his own goals, but also to keep his underlings in line. Such top-down management might exist in the real world as well, but more heinous is the system of complex laws, departmental rules, and union agreements that keep bad cops in place. Many people believe that merely putting a good person in charge will change the situation, but without structural change, the best we can hope is to minimize the amount of police brutality and misconduct that occurs. After all, we know that even after Jim Gordon eventually became commissioner, he still needed Batman’s help to clean up Gotham. Unfortunately, politicians and administrators seem perpetually unwilling to make any structural changes that would help put police departments back in the good graces of the public at large. Even notable wins, like the recent U.S. Supreme Court decision in Rodriguez v. United States reprimanding the use of drug-sniffing dogs during routine traffic stops, are relatively minor given the vast abuses that the current system allows. Which is why the absence of a Jim Gordon – a person who is intent on breaking the stranglehold of thugs on both sides of the “thin blue line” – is felt so keenly. Good, honorable, decent cops exist, but any goodness, honor, and decency they have will continue to be overshadowed by their less scrupulous peers and overseers, so long as current incentives remain unchanged. Until that happens in the real world, at least Gotham gives us a glimpse of what such courage might look like. Curtis A. Weyant is a digital marketer by day and a student of speculative literature by night. He co-hosts Kat & Curt's TV Re-View podcast, edits the Signum Eagle, and blogs at CurtisWeyant.com. He's currently working on his MA in language and literature at Mythgard Institute. His writing has appeared in McSweeney's Internet Tendency, Slayage: The Journal of the Whedon Studies Association, and Joss Whedon: The Complete Companion.